As the name says the colon becomes inflamed and there is formation of ulcers on the inner lining of the colon. It mainly affects the large intestine (the colon) rather than the small intestines. The ulceration is caused by uncontrolled inflammation going on underneath the endothelial layer of the colon. The ulcers become painful and bleed profusely after every effort to pass stool. The colon becomes swollen and painful which leads to feeling of fullness and perpetual feeling of going to pass on the stools. The process of defecation becomes a nightmare for the sufferer as the stools can be explosive, full of blood, mucous or pus or everything together sometimes. The disease has a huge impact on psychology of the person as well. It is very depressing to see one's own blood going in the toilet. This leads to depression and negative thoughts about life. The patient becomes so restless that he is normal work routine is disturbed and the feeling of hopelessness and despair starts to cloud his mind all the time. According to modern medicine, there are no certain causes of ulcerative colitis. The disease is caused by many unknown factors. There are sometimes genetic reasons associated to this disease. Stress, Diet, Lifestyle, Lack of Sleep, too much consumption of Irritating foods, Alcohol and so many more. 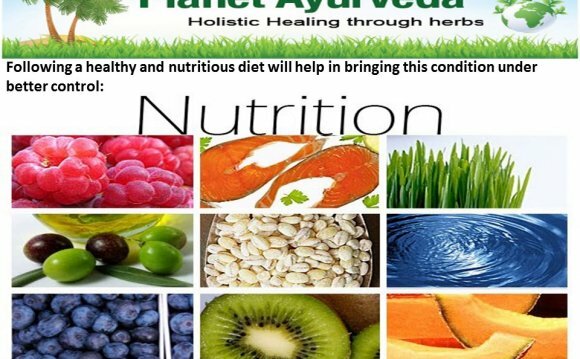 There are many patients who visit us and say we never consumed alcohol and never took non-veg diet but still the incidence is more in people who were having high protein consumption and love for fast food, frozen, packaged food, soft drinks and alcohol. Is Ulcerative colitis genetically transferred? There are about 30 genes which have been mapped and linked to this disease but the research is still going on to ascertain the reasons. The hereditary factors are all kept into consideration but there are many patients who visit us and there are no near or even distant relatives who complained of this disease. The combination not only helps to control bleeding, but also stops the fermentation, pain, discomfort, heals the ulcers and restores health. The combo pack includes 4 supplements - Kutazghan Vati, Pitta Balance, Arjuna and Vatsakadi Churna. 1. Kutaz - Ghan Vati: Kutaz (Halorrheana anti-dysentrica ) - This is a wonderful tree. The name is also antidysentrica. It is nature's wonder which has power to stop all sort of diarrheas. The diarrheas can be due to inflammatory bowel diseases, colitis or infective diarrhea. It helps to burn "ama or endotoxins", stops inflammation, stops fermentation going on inside the intestines and heals the ulcers. The product called "Kutazghan Vati" are tablets made from the bark of this tree and are used for healing this disease.